Christmas time should be spent participating in family traditions, enjoying each other’s company and adding a little joy to the lives of those we love. 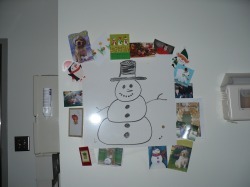 It is not uncommon for children with cancer to be in the hospital on Christmas. Sometimes they come in for an emergency during the middle of the night leaving Christmas behind at home. When Madison relapsed he was unable to be home for Christmas. 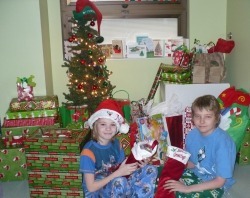 His family spent the night in the hospital so they could share Christmas morning together. Many individuals made a special effort to create a wonderful Christmas for Madison. Creating the Christmas Wish program for other children who will be in the hospital during the holidays helps create a happy occasion for the entire family. Each childhood cancer patient hospitalized on Christmas will receive a special gift and a letter from Santa! Parents will not have to worry about preparing for Christmas and feel comfort knowing their child will have something special that Christmas morning. New toys are always welcome throughout the year for Christmas.